When visiting the Magic Kingdom, one thing that often gets overlooked is Cinderella’s Fountain. 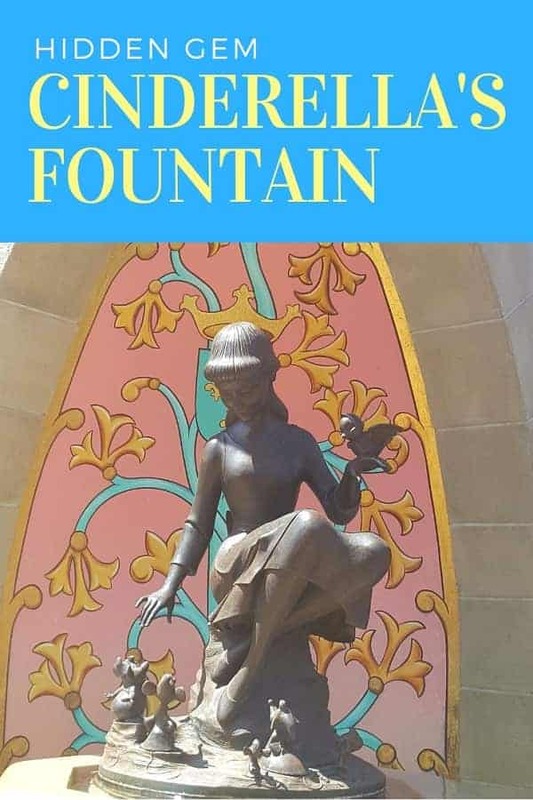 Located next to Cinderella’s Castle, this fountain is the only place where you will find a statue of the most famous princess in the kingdom! 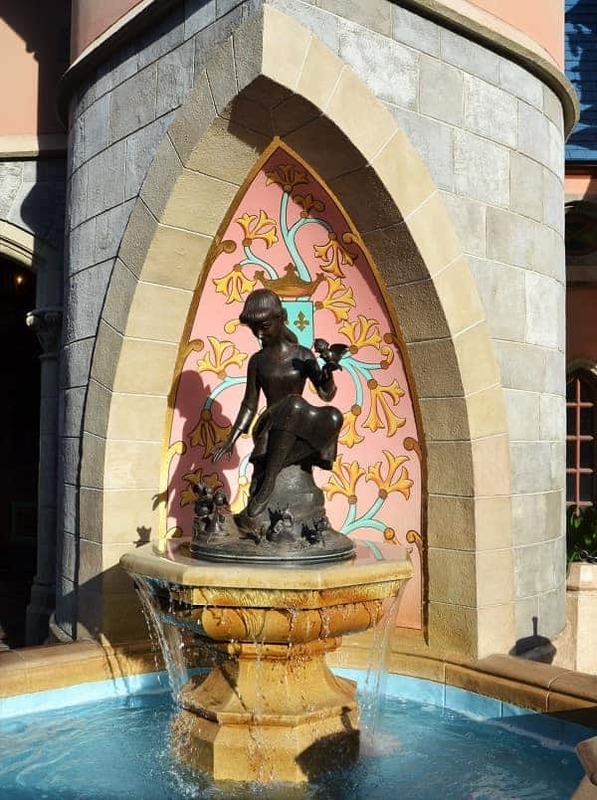 On this fountain, Cinderella is seated, wearing her work dress. In one hand she holds a little bird and the other one she reaches for Jaq and Gus, her little mice friends. While the fountain is quite lovely, what you might not realize is that it contains a hidden design feature. In the background behind the statue of Cinderella, you will see a crown, shield and vine of flowers. 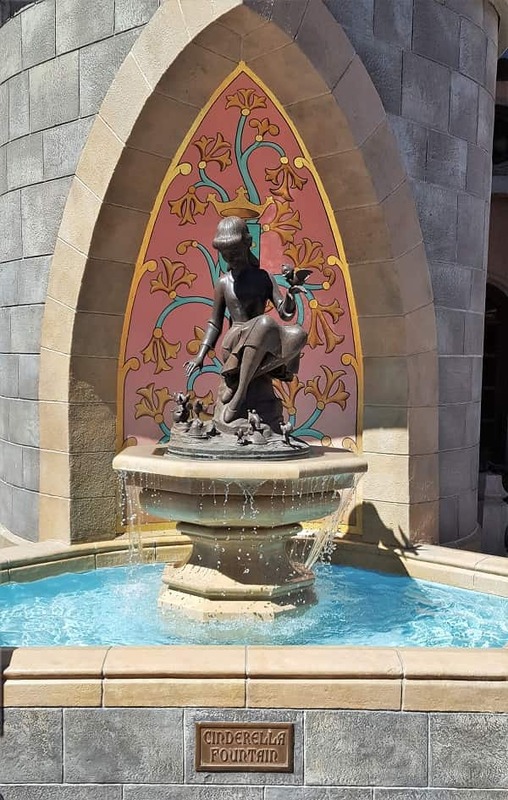 What makes this fountain a Hidden Gem is that if you stand just right, you will notice that she will appear to be wearing a crown. This is a feature designed with purpose. It foretells the fact that one day this peasant will be a princess! Have you had a chance to see the Cinderella Fountain Hidden Gem or any of the other Hidden Gems placed throughout the Magic Kingdom?